Are you suffering from back aches and pains? 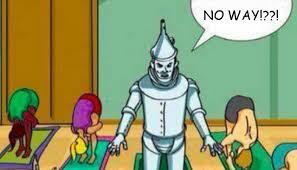 Do you feel stiffer than the Tin Man from Wizard of Oz? Want to know the secret to longer term back care management? The great news is …..You don’t have to put up with it! Back pain affects over 50% of the UK population, that’s a pretty scary statistic. But believe me when I tell you, as a sufferer of back pain in the past, due to endless hours of desk working, a car accident and later a stupid kettle bell incident with a personal trainer…. you really really (honest guv’) don’t have to accept this is your job lot and live a life of painkillers, weekly trips to the massage couch to ease tight muscles, or weekly visits to the physio to fix things for you. You can take control of YOU! Pilates is corrective exercise. That means it goes above and beyond just a list of exercises, some nice movement and a hour out of your day. What it does is focuses on the WHOLE body and targets the weak spots to strengthen and stabilise them, addresses the tight spots to stretch them, integrates the whole lot together, keeps the body moving and creates natural warmth for circulation, making you feel good everywhere. What do i mean by integration? How your arms sit into your shoulder sockets, how they connect into your back. How your legs sit into your hip sockets, how they connect into your back. And, integrating matwork, the apparatus, the small props and the whole lot to your session, not just one Reformer workout that won’t get the same result. 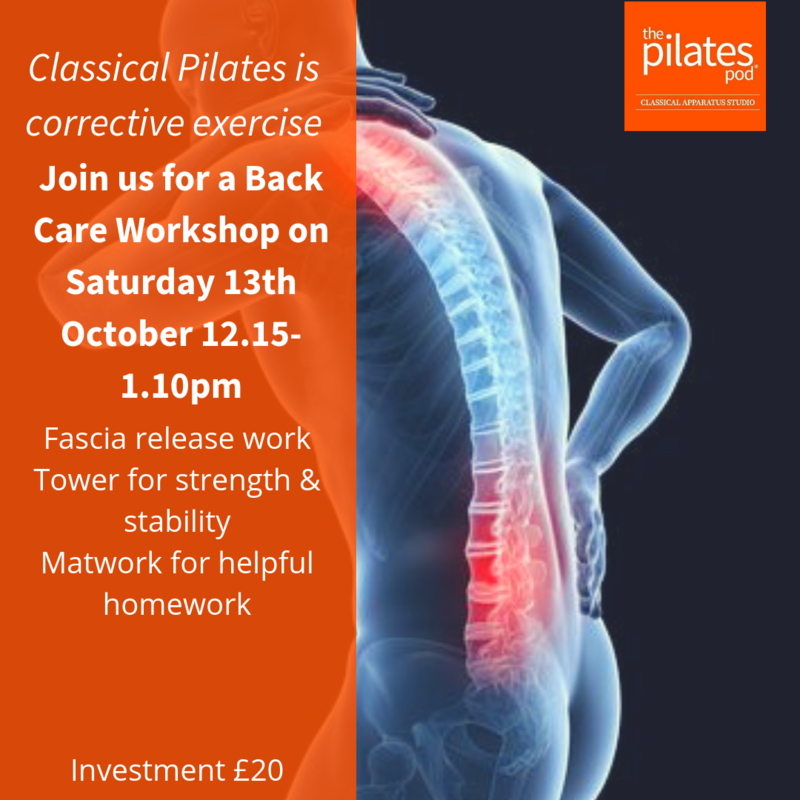 Book Now for our Back Care Workshop on Saturday 13th October 12.15pm-1.10pm. Investment £20. Using fascia work to release any tightness in the body first and get things moving a little freer, use the Tower to add length and strength to the whole body and start tapping into the foundation of your body (your Powerhouse), and Matwork specific for back care for you to practice again after as homework! We know you’ll feel amazing.